(StatePoint) Are you throwing a party this summer, or just relaxing with your crew? Whatever your plans are, cocktails are an essential of summer entertaining: make them easy and breezy, just like the perfect summer evening. To get your party started, NYC mixologist Jaime Rios has created a selection of cocktails containing only three ingredients, including a blast of Alizé Apple, making entertaining this season as easy as flipping the switch to pump your favorite summer beats. • Shake vigorously for about 10 seconds and strain into martini glass. • Garnish with mist of bitters and a fresh sage leaf. “Alizé Apple has a wonderful fruit-forward sweetness, so there is no need to add sugar to this version of a daiquiri. Lime juice gives tartness for balance, and pineapple juice enhances the apple flavors as well as imparts a touch of frothiness and a velvety texture to the cocktail. Sage and bitters give hints of spice,” says Rios. • Add ingredients into highball glass and top with crushed ice. • Swizzle and top with bitters and garnish with candied ginger. • Combine in a wine glass with ice. Top with sparkling wine of your choice. • Garnish with fresh apples, a fresh rosemary sprig and a lemon twist. “This is your new summer staple. It’s like a refreshing sparkling sangria with the vermouth developing wonderful stone fruit flavors and herbaceous notes, while the bitters lends notes of anise,” says Rios. 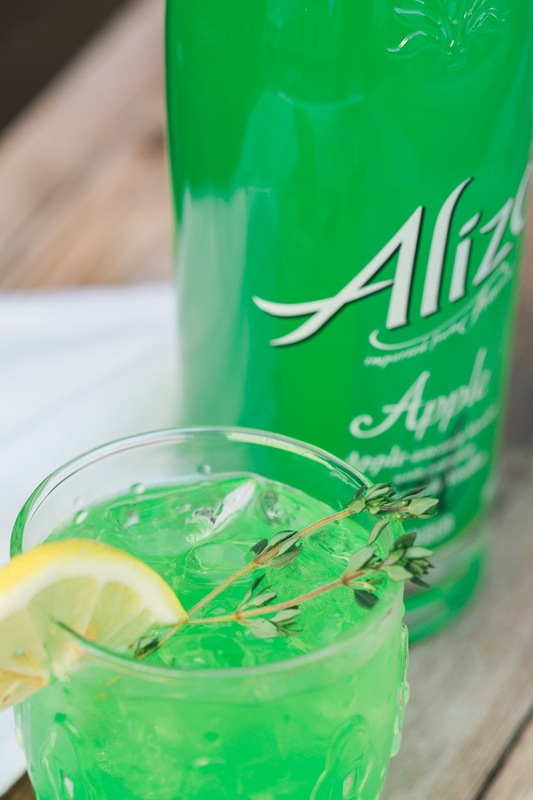 Each of these cocktails uses the recently released Alizé Apple—available nationwide at $19.99 -which is made with premium French vodka and ripe apple flavor. The line’s other flavors include Red Passion, Bleu Passion, Gold Passion and Peach. For more recipes, visit facebook.com/AlizeInColor. Give your parties an extra something this summer with fun, new cocktails. No Comment to " Easy, Breezy Cocktail Ideas For Summer "